To apply an existing theme to all the slides in your course, go to the Design tab on the ribbon, click the Themes drop-down arrow, and select a thumbnail image. You can use more than one theme in a single course. Themes that have been applied to a course appear in the Themes drop-down in the section called This Project. You'll also see sections for Custom themes and Built-In themes. The theme assigned to the current slide has a blue outline in the Themes drop-down. Apply to All Slides: This applies the theme to all slides in your course. Apply to Selected Slides: This applies the theme only to the selected slide(s). Set as Default Theme: This makes the theme your default for new projects. 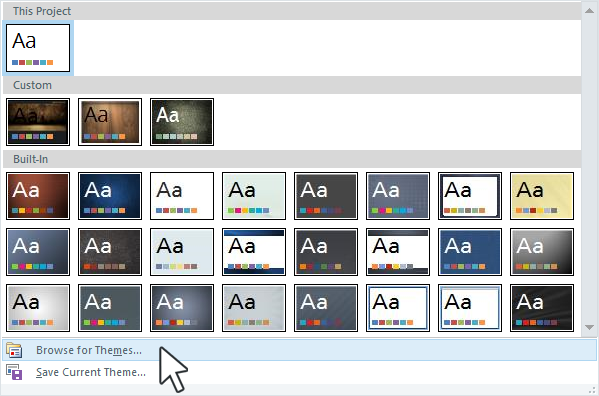 Go to the Design tab on the ribbon and click the Themes drop-down. Choose Save Current Theme at the bottom of the list. 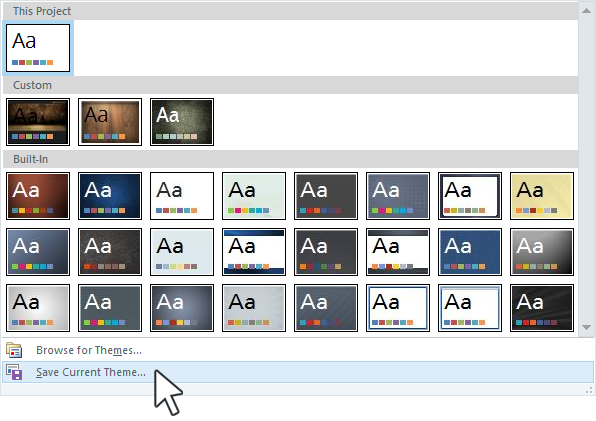 Enter a name for your custom theme and click Save. 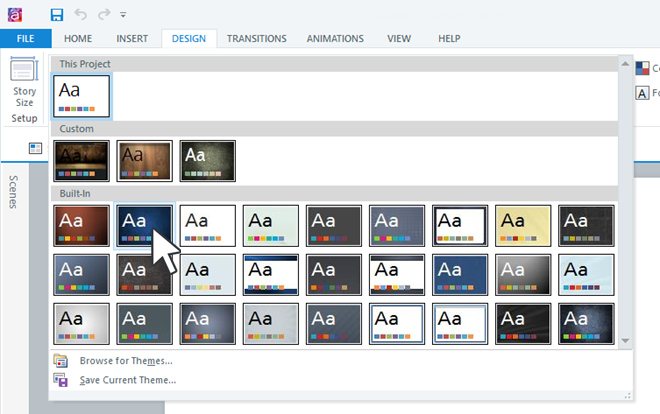 Go to the Design tab on the Storyline ribbon and click the Themes drop-down. Choose Browse for Themes at the bottom of the list. Browse to the custom theme file and click Open.